Start by sketching out your fish shape on the cardboard. Cut out your fish shape. Lay out the driftwood on your fish shape, it helps if the driftwood slightly overlaps the fish outline. Fire up your glue gun and glue your driftwood to the cardboard. I added a cork for an eye to each of my fish . 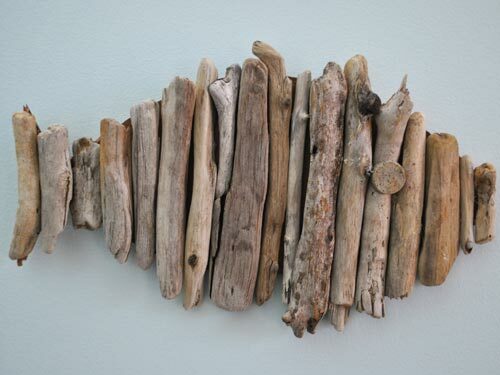 Coastal DIY driftwood fish. This coastal DIY is a lovely little coastal design to hang on the wall.